Ships from and sold by dmkrr. Sold by a2z Blu Ray and ships from Amazon Fulfillment. 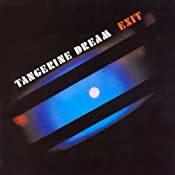 Stream Exit by Tangerine Dream and tens of millions of other songs on all your devices with Amazon Music Unlimited. Exclusive discount for Prime members. D. Gorman "Crystalline Structure Moon"
Admittedly, TD purists may have a problem with this album, and they may have a point. This is a clear departure from what they had done up to this point. However, I still find this album to be a great listening experience. Not their best album, kind of short, but still very pleasant. 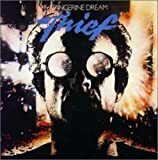 This is more of an '80s album...more beat-oriented, with clear, distinctive melodies, haunting, seductive '80s melodies that draw you in, and then help you find a way outside of yourself. Drum machines were becoming a tool that TD started to lean on. Sequencers and synths with that distinctively '80s sound, creating mesmerizing melodies that just draw you into their web. The opening tune has some vocals...a female voice speaking in Russian, according to the product description above. The girl seems to be listing off the continents, then giving a plea in Russian to end the threat of a limited nuclear war (a very real threat at the time). Of course like most fans, I prefer TD's instrumental stuff. But it's only the one song that has vocals, it doesn't last long in the song, since it's in Russian, it doesn't detract from the music like lyrics often do...it's spoken, but still feels more like '80s pop, not Rap (thank God!) Take it from me...a man who definitely prefers instrumental music, from TD and everyone else...it does not ruin this album! Even though this is not TD's best, it is still a worthy (mostly instrumental) album! The synths take on an '80s pop feel with their instrumental melodies, and this album is a clearly haunting and mesmerizing work. I don't mean to imply the album sounds totally like an '80s pop album! Believe me. This album has plenty of the TD haunting, gloom and surrealistic qualities that you want in a TD disc. They were just moving on and keeping their style fresh, while moving into a new decade. Take my word for it. Go now...find the nearest exit, and go give this disc a spin. Your head will thank you. 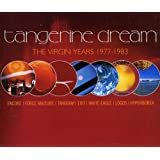 You can't go wrong with this album in your Tangerine Dream collection, one of the best TD albums ever! 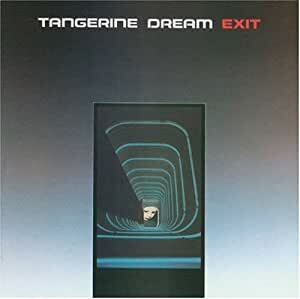 I've been listening to Tangerine Dream for quite a while and this is one album I just have to go back to so often. The lyrics can sometimes throw me off in the song Kiew Mission, but perhaps the only song in the album that I wish I could change something of. 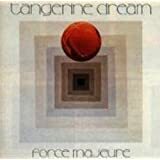 Lyrics in music as delicate as Tangerine Dream's music, can indeed be a distraction at times. I honestly believe the song would've been perfect without them, other than that, a must have. You need this if you appreciate synth or house music. 5.0 out of 5 starsMusic for just listening. Love it! I have been listening to this for years. 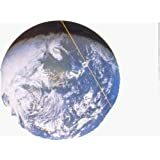 5.0 out of 5 starsNotable Landmark for Electronic Music; How can it be "not available"
If you are not familiar with TD, or are new to TD, you have a lot of exploring to do. 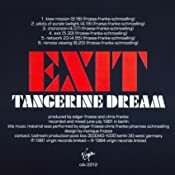 It is hard to believe that (June 2009) this album is listed as not available -- Exit is a notable, strong album from the phase where TD developed a lot of sequencer-based songs - they would develop some string of notes to be played repetitively, often handling the rhythm in place of bass/drums would do in popular music. This style of setting up the rhythm section allowed mood to be incorporate with the rhythm - the type of sound chosen could vary, varying the mood, and the sound could be modified - flanged, compressed, and other effects done to the rhythm, allowing it to seem alive, moving, pulsing, and adding great dimension. On top of that, TD would add some other music lines: also repetitive, or gentle washes of sound, or lead/solo type, etc. 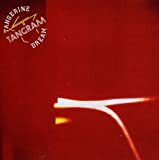 TD was always strong on this dimension back to their very early days as exploratory psychedelic rock band, with extended flute or guitar jams. Exit might be TD's strongest sequencer-based album. Very memorable melodies, strong emotive moods created. This phase of their career followed the more exploratory, free-form, trippy, meandering, improv-feel, lengthy-song phase, where Phaedra might be a stand-out example. Some people preferred that early exploratory phase, and were upset as TD moved into this new phase, basically to never look back. Other people like this sequencer phase more. Give each a try. Exit is a great example of the sequencer phase. Also, good examples are the soundtracks to Risky Business, and Firestarter, although Risky Business is only half TD songs - Risky Business has of course the classic "Old Time Rock and Roll," per the tidy whitey Tom Cruise scene, and also Jeff Beck, Prince, and others. But TD's "Love on a Real Train" itself, from Risky Business, is widely recognized as a stand-out TD song, maybe rising above its soundtrack status. 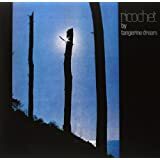 TD fans tend to enjoy the soundtrack-like quality of the albums generally, letting your mind follow its own movie, with soundtrack scored by these leaders of electronic music, whether the music was made specifically for a movie or not.